Shortly after a UK court appointed Paul Appleton and Paul Cooper of David Rubin and Partners as joint administrator overseeing the sale of Blippar's assets, Candy Ventures emerged as a favorite to buy Blippar. The firm is the tech investment arm for Candy Capital, the private family office managing UK real estate developers Nick Candy's Candy Capital. Candy and his brother, Christian, have earned the nickname "Brothers Bling" in local UK media due to their glamorous lifestyles. "In conjunction with my agents, we conducted a thorough and extended sales process over a period of five weeks, which generated an immense amount of global interest and resulted in numerous parties submitting bids," said Appleton in a statement. "Ultimately, Candy Ventures was the successful party and the deal has now completed. I am confident the acquisition will lead to a return to the creditors and the employment of a number of Blippar's former staff." Layar co-founders Raimo van der Klein and Maarten Lens-Fitzgerald, who sold their company to Blippar in 2014, also placed a bid to reacquire Layar's assets. However, after the successful bid of Candy Ventures, Layar will remain as part of the new Blippar. With the acquisition of Blippar's assets, Candy Ventures says it will launch a new company with the same name and retain the company's founder, Ambarish Mitra, as CEO, with plans to hire Blippar's core engineering team. A spokesperson for Candy Ventures declined to clarify Mitra's ownership stake in the new company, if any, and would not reveal how many employees will keep their jobs. Candy Ventures also did not reveal the purchase price for the assets, but did state that Blippar's valuation after a Series D round of funding in 2016 stood at $500 million. Moving forward, Blippar will focus on its augmented reality publishing platform Blippbuilder, which the company will position as a content creation tool for brands that is friendly for non-developers. It is not clear whether this means that Blippar will continue development of its artificial intelligence technologies, including automobile recognition, facial recognition for social profiles, urban navigation as well as indoor navigation platforms, and landmark recognition, extensions of the company's initial AR mission that some have blamed for the company's downward trajectory. "It was a devastating disappointment when Blippar was forced into administration at the end of last year, but today's news is a hugely positive outcome. 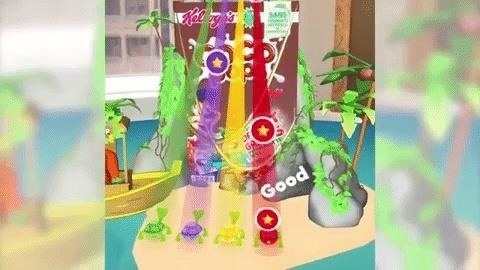 We continue to believe in the future of augmented reality and see a huge opportunity to create the best platform to allow our customers to seamlessly build and publish successful AR experiences in the same way that WordPress allowed anyone to easily create and publish a website," said Mitra. "We will bring together all of the invaluable R&D, technology capabilities and key learnings gained from the past eight years and invest this in what we believe to be our most powerful asset and most sustainable revenue stream. We are extremely grateful for the overwhelming support during this difficult time and I am very thankful to everyone who has contributed to the Blippar journey so far, in particular our team members without whom we couldn't have built any of this." While Blippar did well to secure its status as an early entrant in the augmented reality industry, the company faces a much more crowded market than it did when it started in 2011. Even its refocus on AR content creation and publishing faces major challenges from much bigger efforts such as Snapchat's Lens Studio, Facebook's Spark AR, and Amazon Sumerian, among others. Furthermore, the native mobile AR toolkits offered by Apple in ARKit and Google in ARCore enable companies to opt into building their own apps and leave less room for third-party platforms like Blippar's. Despite Blippar's troubles and the crowded market, the new ownership, via statement, expressed confidence in the augmented reality market, Blippar's position as a pioneer in mobile AR, and the leadership of Mitra and his team. "[Mitra] and the team built a great business which had to adapt to the challenges of a constantly-evolving industry," said a spokesperson for Candy Ventures. "With the right application of its powerful AR technology, there is huge potential for the new company to drive innovation in AR and position itself at the forefront of the industry."